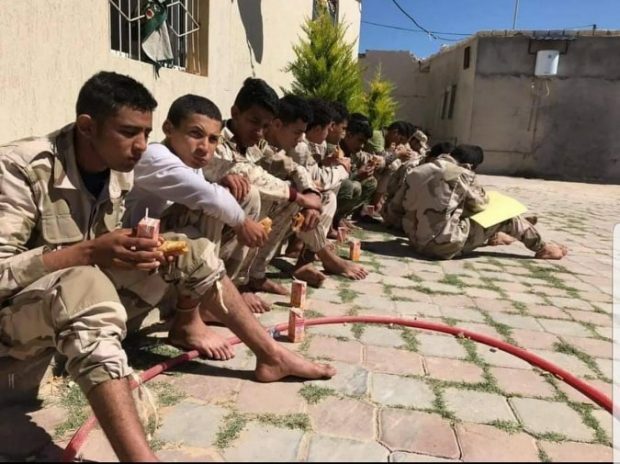 The Interior Ministry of the Government of National Accord in Tripoli has posted a video of underaged boys captured from the forces attacking Tripoli under the command of Khalifa Haftar. The photos and videos show boys who are just 16 and 17 years old caught in the fighting on the outskirts of Tripoli. Meanwhile, fighting rages on in different frontlines in southern Tripoli like Wadi Al-Rabea, Khallit Al-Furjan, Qasir Benghashir, and Ain Zara. As for Tripoli International Airport, the GNA’s Libyan Army forces have confirmed full control on it and its surrounding, saying Haftar’s forces had been repelled from the area, adding that Yarmouk camp has also been seized fully from the attacking forces. On Wednesday, two airstrikes by GNA Libya Army’s Air Force hit positions for Haftar’s forces in Gharyan-based camps.